One of, if not the best young Brit prospect in the paddock at the moment. weeksy wrote: OH crap !!!!! I saw that crash just now (recorded). Bloody awful. I really liked Craig as a rider and its a sad day indeed if its true that he passed away. Condolences to his family and all who knew him. Man I can't believe it. Prayers and condolences to his family, I can't even imagine. extreme sad news This can be a very hard sport to be a fan of some days! My condolences to Craig's girlfriend Karen, family and friends. RIP Craig. You will be missed. I was watching the coverage on Eurosport when it happened. I got the jitters when I saw him lying motionless on the ground, hoping that he would move, it was really scary seeing it. Was hoping to read news today of him sitting up in bed saying how lucky he was, but it just wasn't meant to be. Absolutely gutted. One of the best talents we've had in ages. Was watching this on TV but busy playing with the cat when the crash happended, saw him lifeless rolling down the road, they did not replay it for obvious reasons as it looked bad, but what actually happened? how did he crash? He was fighting for 1st when at the last corner he highsided and was touched by the 3rd place bike. Gone But Never Forgotten section? RIP. Gonna miss hearing Jonathon Green getting excited about Jonesy! 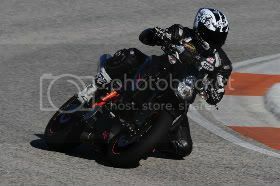 UNDERSTEER IS WHEN YOU HIT THE WALL WITH THE FRONT OF THE BIKE.OVERSTEER IS WHEN YOU HIT THE WALL WITH THE REAR OF THE BIKE.HORSEPOWER IS HOW FAST YOU HIT THE WALL. trackadict wrote: Gone But Never Forgotten section? RIP. It's especially tragic for one so young. So his name would always grab my attention. A very, very talented young man. Who will be missed. Remember... It's not how FAST you get there,... It's how FAST YOU GO, getting there. Condolences to his family and friends at this extremely sad time. Craig was a superb bloke and not at all big headed about his abilities, he was at a trackday at cadwell a couple of years back and he was inspiring and offered advice without being patronising...what a bloke..my condolences to his family.